Jakie: Hello man. For first i want to ask whats your name, how old are you and where do you live? ZTN: I use actively C++, Delphi, x86 assembler…and that’s about it. I also know Basic and a tiny bit of Java, but I’m quite ignorant at the Web-programming field. Jakie: What software do u use for create your brilliant maps? 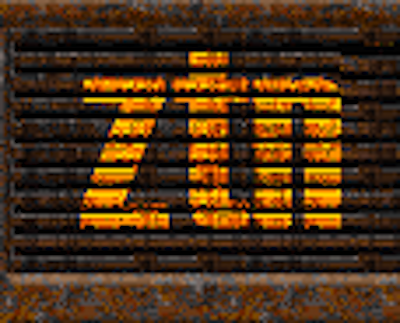 ZTN: Thank you =) For Quake III I use QERadiant, for Quake and Quake2 I used an editor called WorldCraft. Jakie: Well, you made many maps for Quake1, Quake2 and Quake3, but how about other games? ZTN: There are some non-quake maps of mine, which aren’t widely known. Most notably some maps for SiN (which was Quake-engine based game anyway), a few unreleased Doom maps and a few bad attempts at Unreal, Also unreleased. Aside from those small sidesteps, I’m pretty much riveted to the id-produced engines. Jakie: When did u start to create maps and which one was the first one? ZTN: I started trying when the first publicly availabe version of the WorldCraft was released. Can’t remember when, but I think it was in late ’96. The first maps were god-awful mess of brushes which didn’t really deserve to be called as “map.” But the next serious tries were 2 Western-styled maps called “Cactus City” and “Cactus City Nights” which are downloadable from FilePlanet (or FailPlanet), but don’t have a direct link from my homepage. Have to fix that sometime when I remember… The first publicly released map was “The ZTN Base” which is a huge base-style map, downloadable from my page. Jakie: When ztn3dm3 will be released? Jakie: Is there any maps, which you think are perfect, but on championships they are not used? (Not only your maps). ZTN: Oh yes, take a look at Wiebo’s “No Class!” I mean look at it, it can’t get much better than that, yet it hasn’t gained much popularity at the professional tournaments. It might be that this map wasn’t intended to be a full-blown tournament map, but then again, so wasn’t my “Blood Run.” It just happens, you never know how the online community will interpret your map. Jakie: What do u think about “popularity” of ztn3dm2? You think there is any mistake in this map or it’s just a player’s choice? ZTN: Oh, I’m flattered abut the popularity and acceptance this map has received. There are few places in this map I think I should have solved differently, but all in all, I am very satisfied how it turned out…and more about the wide usage of this map. Goes to show that I did most of the things “right”, a good portion of that accounts to my trusty Ramshackle team, whose comments are invaluable in process of finetuning the map. Jakie: Your maps are universal. Ztn3dm1 was a duel map for a long time, but some months ago professional players started to play 2×2 on it. What do u think about it? ZTN: To tell you the truth, it amazes me how versatile this particular map has turned out to be. It wasn’t intentional, actually, ztn3dm2 was supposed t be a 2×2 map. But as I’ve said before, you really can’t predict how the online community will interpret your intentions. Jakie: Which map is your favorite? 2 maps: yours and in all. ZTN: All in all, my favorite would be ztndm5 – The Vomitorium. This map in my opinion has everything just right. The layout is interesting and not too complex, it provides good ground for both duel and FFA deathmatches. And it looks nice, too. As for other people’s maps, there are so many of them, it’s hard to pick only one. I’d say Adriano “Escher” Lorenzini’s “The Messy Base” classic Quake1 map stands tall in a crowd. But on the other hand, Dennis “Headshot” Kaltwasser’s maps always make me feel incompetent, and the same goes to Phil “retinal” Chopp. Jakie: Could u say the number of your maps released? Jakie: How long plan to create maps? ZTN: Depends. Sometimes I just start laying brushes and everything just clicks. On other occasions I try and try and out comes only a turd. Which get flushed. It usually takes me a month and a half to produce a map from the initial planning up to the point, where the maps is ready to be released. Some of my maps have taken something like 6 months to accomplish, ztn2dm5 being a good example. Jakie: What esle do u create for Quake? ZTN: Some textures for my own usage, noting much else. Jakie: When did u see Quake for the first time? ZTN: The moment I downloaded the QTest1 from a local BBS. It might have been around early spring ’96, if I’m not mistaken. The shareware version came a bit later, on June 23th to be exact. And received my full version sometime in October the same year, I think. Jakie: Do u have a configuration file for Quake? If yes, where can it be downloaded? ZTN: I do have a custom cfg file for Quake, but it’s not downloadable. I use an oddball combination for navigating around: my right mouse button is for moving forwards, and z, x, c for strafing and moving backwards. I’ve used that particular combination since my Doom days and the advantage of this layout is that it leaves my lefthand middle finger free for other tasks while moving forward. ZTN: Which woman is the best? There are many answers to that question…some like their first love, some are endlessly searching for their true love, some like what they’ve got. 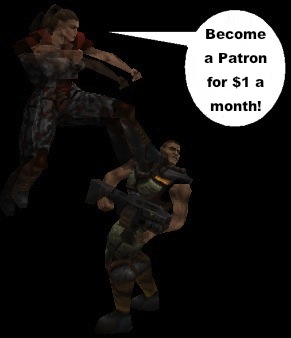 From the pure fun and deathmatch standpoint, I like the original Quake the best. From the mapping standpoint, nothing beats Quake III. Jakie: Do u have a girlfriend (or wife ;-), what does she thinks about “all this”? :) Does she use a computer for her needs? Jakie: What is your home pc configuration? ZTN: I have an older brother, he doesn’t play, but his son does. And he has also created some maps, some of them actually quite famous. He’s nickname is “paradies” and some of his para2dmX series maps are still being used on Quake2 servers. Jakie: Do u have friends – professional players? ZTN: Oh, I have many friends, though not professional players, some of them would do good at any professional event. Jakie: Have u ever played on any e-sport championship? ZTN: No, I’m not that good of a player. Jakie: Why don’t u participate in e-sport projects, such as XSReality, Cached or Cyberfight? And do u plan NOT to participate in future? ZTN: But I am participating =) Not from the competition side, but I have my foot in the door by providing maps. I map better than I play deathmatch. Jakie: What do u think about CS invasion in Quake community? ZTN: Interesting. But I’m yet to try CS myself. Haven’t hardly had any time for playing even Quake III, let alone learning a totally new game. Jakie: What do u think about e-sport future? It’s a sport? ZTN: Oh it’s a sport allright. If throwing a cowshit can be a sport, e-sport will have no problem bearing an emblem “sport”. The question in my mind is however, how soon till it’ll be accepted as a spectator sport. It’ll come for sure, but when? Jakie: Which one of professional players you think is the best? Which team and which country in all? Jakie: Did you hear something about Russian players? About team 4z and c58? ZTN: I don’t much follow the online tournament scene, so I have to apologize for not reckognizing any of the names. But I do know that Russian Quake plaers are doing very well. In fact, a good percentage of my “fanmail” comes from Russia. I remember an incident a few years back with a Russian top player, who was denied of US VISA for traveling there to take part of a high-class tournament. I felt sad about the guy, he lost purely by politics, which I think should be unrelated to the sports. But what can you do? ZTN: Nazdarovje? Hehehe =) Thank you for your support and keep holding your reputation high. Have mercy!